Today is Memorial Day, where we honor those who have made the ultimate sacrifice in the service of this country. Originally it was was known as Decoration Day, but as to the birthplace of Memorial Day we cannot say for sure as there are many cities/towns that lay claim to this holiday. It's likely that there were many separate beginnings that came about after the Civil War. In honor of the fallen, I am linking a video that will play Taps. Taps is a bugle call which is used to remember the dead and is used to conclude funerary services. Taps was created during the Civil War when in July of 1862, Brigadier General Daniel Butterfield, Commander of the 1st Division in the V Army Corps of the Army of the Potomac, and assistance from his bugler, Private Oliver Wilcox Norton, composed the notes to be played. Prior to Taps, "Extinguished Lights" was used a bugle call, but Butterfield found it "colorless" and did not render the proper memorial of those fallen. It spread in use and in 1874 it was officially recognized as a bugle call by the United States Army. Intermountain Chapel #27 of the Commemorative Order of St. Thomas of Acon of the United States of America was consecrated today in Boise, ID. This Chapel is one of three new Chapels consecrated under the new Grand Master's Council that formed back in January of 2015. Last summer plans were finally set in motion and I put together a draft set of by-laws and in August we held a Founder's Meeting. At Masonic Week I sat down with the current Most Worthy Grand Master and junior Past Grand Master to hammer out some of the details. With the assistance of several knights from Washington we had a plan set in place. On April 17, 2016, we initiated 7 new knights into the order who filled up the rest of the officer positions. All that was left was the consecration. I spent Friday afternoon hanging out with the Brother who would serve as Primus Master (the first Worthy Master of the Chapel) then met up with the Grand Master, Grand Prior, and Grand Marshal for dinner. It was a good night of fellowship. Saturday started off with some rehearsals before moving into the consecration where the Most Worthy Grand Master appointed his consecrating officers that would assist him in establishing this Chapel. Doing all things required, he consecrated our Chapel and installed our Primus Master, the Treasurer, and the appointed officers. I have the pleasure as serving as the Founding Secretary. Afterward we proceeded to enjoy a Festive Board and fellowship. It's a great relief that it is all done. I'd like to thank all of the Grand officers and guests who attended, the Grand Secretary for his patience, the Worthy Master and Prior for their assistance, and all of the Sir Knights who helped with the formation of this new Chapel. In debates with anti-Masons, I've seen and heard the accusation tossed around that Freemasonry is a cult. Here is my somewhat biased look on what a cult is and a comparison to Freemasonry. Cults have historically been associated with religious or social groups whose practices are considered deviant, and because the word carries with it a derogatory connotation some have used the word to label groups they do not approve of, whether that group meets the criteria of a cult or not. However, since what is considered radical or truly deviant are relative terms it is problematic to pin down a precise definition of the word 'cult'. I will say that Freemasonry doesn't fit the definitions because Masonic Lodges are not places of worship. Freemasonry is religious, but far from being a religion or a religious institution (ie church, synagogue, mosque, etc). We also do not force our members to live outside of "conventional society" nor do we have a singular "charismatic leader". We do have rites, rituals, ceremonies, but that is far from making an organization a cult. Definitions alone do not accurately depict something on its own. I could define "human" as a "bipedal mammal", with that definition I could then say an ostrich is considered human. One must take into consideration the characteristics along with the definition otherwise you lose context and accuracy. Leadership: A cult will have a living leader who is self-appointed, has absolute authoritarian/totalitarian control, is accountable to no one, and is often messianic with a special mission or cause. Truth: The leader, and sometimes the group, are in possession of a credible "truth". Often this surrounds some notion of salvation which can only be attained from affiliation with that particular cult. Only knowledge from the group is credible and often critical thinking is prohibited. Devotion: The members must submit to all orders of the leader without question or inquiry. Promote dependency of the members upon the group. Finances: Members are often required to turn over most if not all of their assets to help fund operations and the cause of the leader. Again, with the "no question" policy, there is no transparency in regards to where the assets are stored, used, or spent. Profane world: There is instilled an illogical fear of the outside world. Members are often cut off or isolated from their pre-cult friends, families, and society. They have the polarized "us versus them" mentality. Members of cults move into communes and not in their previous residents. Recruiting: Use deceptive methods in recruiting such as crisis creation, deepening a confessed guilt or fear, or state that they have all the answers. Leaving: There is no legitimate reason to leave the cult. Members who do leave are criticized and seen as evil. Our leaders/officers are elected or appointed by an elected officer, not self appointed. Least of all, do we have to do as bidden without question. Masonry don't claim to possess some hidden secret that will give us salvation from God's Judgment. There is no dependency or entitlement syndrome placed upon Freemasons. The finances are, or should be, tracked and, at least in my Lodge/Grand Lodge, audited annually; the Grand Lodge audit done by an independent auditor when a new Grand Secretary or Grand Treasurer is elected. Freemasons are not cut off from the world or family/friends that we knew previous to joining Freemasonry nor are we required to live in communes or residence established by the cult. Freemasonry doesn't recruit, but even to prospective members, we don't lie nor do we use deceptive means to bring them into our fold. Lastly, Freemasons leave the group all the time. Some leave for poor reasons while others leave for personal or financial reasons. It just depends on the man. Having looked at all the information, I'd have to say NO, Freemasonry is not a cult. To be blunt, people who say we are a cult are ignorant of what both, cults and Freemasonry, are. It's not surprising though that those who know so little will defame and slander others without knowledge of the facts. I would point out though that many of these characteristics fit the description of some of the anti-Masons I have met. I have found that using their loose definition of what a cult is, you could label just about any assembly of people a cult. Anti-Masons have overused and abused the use of the word "cult" that its use is becoming meaningless and trivial. 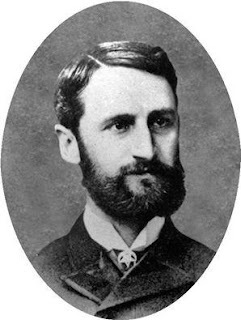 Next to the Five Friends & Brothers, Stephen Alonzo Jackson is regarded as one of the most important men in the history of the Kappa Sigma fraternity. It was by his efforts that a local chapter at the University of Virginia would expand to the strong international organization it is today, and it was because of his devotion that he was given the nickname "the Golden-Hearted Virginian." Stephen Alonzo Jackson was born on September 22, 1851, in Glenville, VA, the son of Minter Jackson and Mary Katherin Jackson. While still in his infancy, Jackson's mother died and he was raised by his grandmother. Jackson was initiated into the Kappa Sigma fraternity in the Fall of 1872 while at the University of Virginia where he studied Latin, Greek, and Mathematics. Through the dedication of Jackson, the fraternity spread to Trinity College (now Duke University), the University of Maryland, and to Washington & Lee University. Jackson would go on to serve as Grand Master of Zeta Chapter, revise the ritual of Kappa Sigma, create the first Supreme Executive Committee (the governing body of the fraternity), establish a Constitution of the order, and the idea of a regular meeting of a national convention. He would go on to serve as the first Worthy Grand Master. "Why not, my Brothers, since we of today live and cherish the principles of the Kappa Sigma Fraternity, throw such a halo around those principles that they may be handed down as a precious heirloom to ages yet unborn? Why not put our apples of gold in pictures of silver? May we not rest contentedly until the Star and Crescent is the pride of every college and university in the land!" Stephen Alonzo Jackson passed away on March 4, 1892, in Washington County, VA, leaving behind his widow, Mary Cloyd Davidson. His legacy is unprecedented as it was through his through his efforts that the first southern fraternity expanded to the north and the establishment of a Greek fraternity Grand Conclave. Kappa Sigma has continued to grow with more than 200,000 living members (including over 20,000 undergraduate members) and 320 chapters and colonies throughout the United States of America and Canada.